Next up on the busy 2019 textile trade show calendar is the biennial combined Techtextil and Texprocess trade shows, to be held May 14-17, 2019, at the Messe Frankfurt Fairgrounds in Frankfurt, Germany. With floor space almost fully booked some six months ahead of the event, Messe Frankfurt is expecting strong participation from exhibitors and visitors at the 2019 edition. Combined, Techtextil and Texprocess attracted more than 47,500 visitors from 114 countries at the last edition held in 2017 to view the technologies and products of 1,789 exhibitors from 66 countries. This theme for the 2019 event is “Urban Living – City of the Future,” which will focus on how technical textiles will shape urban life in the future. Almost 70 percent of all people will live in metropolises and megacities by 2050, according to estimates by the United Nations. As the globe’s population increases, humans will need to overcome living and mobility challenges and innovative textiles will play a role in development. An exhibition space, developed in collaboration with Creative Holland, will present such examples of textile applications, including functional and smart apparel. 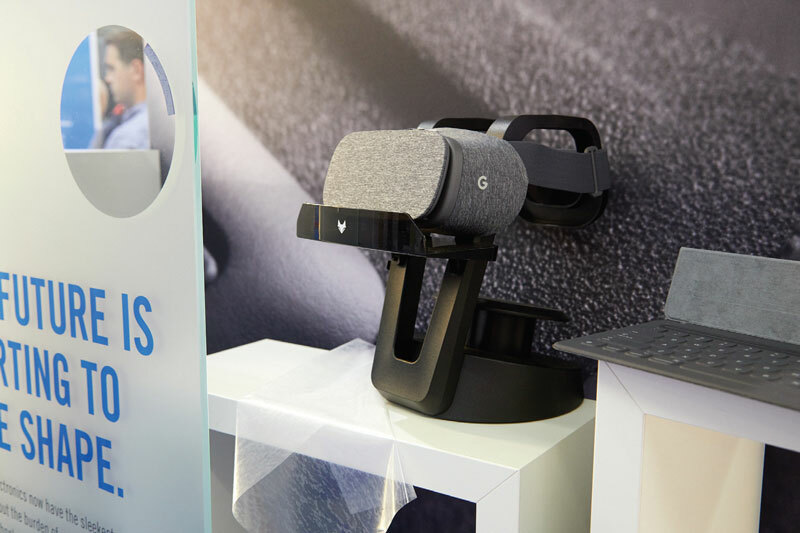 For the first time, Techtextil and Texprocess will share exhibition space in Hall 4.1, in an attempt to show visitors the entire production process from raw material to finished product. Techtextil exhibitors — including suppliers of woven, laid web, braided and knitted fabrics; coated textiles; and nonwovens — will gather with Texprocess exhibitors that supply functional apparel textiles. Select textile machinery, product preparation, finishing, logistics and sewing solutions providers also will display their technologies alongside the “Digital Textile Micro Factory.” This micro factory is one of four that will be on view during the show (See page 22). Techtextil will organize the exhibits into 10 different product groups: technology, processes and accessories; fibers and yarns; woven fabrics, laid webs, braids and knitted fabrics; nonwovens; coated textiles; composites; Bondtec; functional apparel textiles; associations; and publishers. Sporttech — sport and leisure, activewear, outdoor equipment, sports equipment and outfits, and sports footwear. The application areas are illustrated by graphic icons displayed on exhibitor booths. Show organizers report the icons help visitors find the suppliers they need in an efficient manner. At Techtextil 2017, Neenah, Wis.-based Bemis Co. Inc. highlighted its thermoplastic adhesive film that provides a sleek finish without the burden of nuts and bolts. Texprocess, the International Trade Show for Processing Textile and Flexible Materials, will showcase the latest machines, plants, processes and services for the production of garments, and textile and flexible materials. Texprocess covers 20 product groups that encompass the entire value creation chain: CAD/CAM and product development; production preparation and organization; cutting, making and trimming (CMT); fusing, setting and manufacturing preparation; textile machinery; textile finishing; knitting technology; embroidery technology; stitching, joining and fastening technology, and automation technology; stitching, joining and fastening materials, technical accessories for garment, house and home textiles; product processing and finishing; energy, air conditioning, disposal and recycling; quality control; internal material flow; textile logistics; information technology; services, consultancy and training; media; research, development and training; and sourcing. Hall 4.1 — Digital Textile Micro-Factory of Texprocess and Techtextil: Industry partners in collaboration with the Denkendorf Institutes for Textile and Fibre Research (DITF) will present three production lines — one for clothing production, one for a 3D knitted shoe and one for processing technical textiles. Between Halls 4.1 & 5.1 — Smart Textiles Micro-Factory: RWTH Aachen University and industry and research partners, will highlight the production of a smart cushion from design to finished product. Hall 4.0 — World of Digital Fashion: Six firms working in several fields — visualization, CAD cutting systems, automated body-mass calculation, layout and process automation — will jointly illustrate how their products can be integrated and combined in different workflows with the emphasis on clothing and fashion customization. Showcase of Efka and Gemini: Texprocess exhibitors Efka and Gemini will show how individually designed football shirts may be made using easy-to-implement solutions. Messe Frankfurt is rebranding the Techtextil Symposium as the Techtextil Forum. 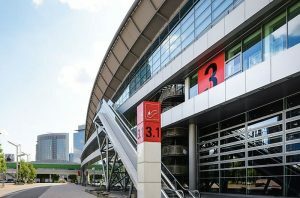 According to organizers, “the new Techtextil Forum provides an opportunity for an interactive exchange of ideas and information between exhibitors and trade visitors, as well as researchers and developers and users.” The forum will be located in the exhibition hall and is free of charge to all participants of the show. The program includes topics covering a wide variety of application areas. Held in Hall 4.1, the Texprocess Forum — organized in collaboration by the Textile-Clothing Dialogue, International Apparel Federation and the World Textile Information Network — will feature talks by experts on current topics of interest to the industry. Germany-based SILTEX Flecht-und Isoliertechnologie Holzmúller GmbH & Co. KG showcased its high-end braidings for composite materials at Techtextil 2017. In addition, students and young professionals will be recognized through the “Textile Structures for New Building” competition. This focus of this year’s contest “is on textile-based solutions for architecture, clothing, living and health in an increasingly urbanized society.” Competition categories include macro-architecture, micro-architecture, material innovation, environment and ecology, and composites and hybrid structures. The competition is sponsored by the international network TensiNet, and supported by the Institute for Lightweight Structures and Conceptual Design at the University of Stuttgart, as well as the architecture and design platform Architonic. All award-winning work will be presented in special shows and displays during Techtextil and Texprocess. Sustainability also is a central theme at this year’s event, and the both shows will highlight exhibitor’s sustainability efforts. 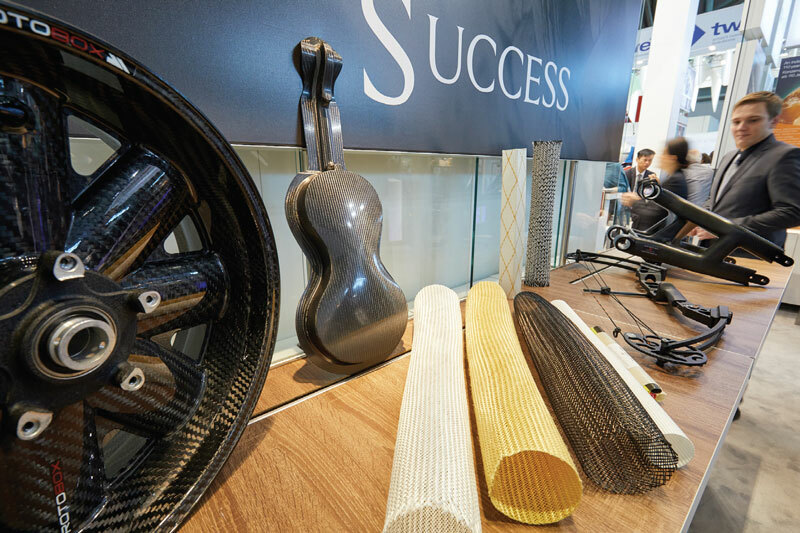 The Techtextil and Texprocess Innovation Awards will confer prizes to sustainable innovations and processing approaches. The Texprocess Forum also offers a series of seminars related to sustainability in the textile and fashion industries through an offshoot of Fashionsustain, Messe Frankfurt’s sustainable textile innovations conference. Both shows are open from 9 a.m. until 6 p.m. May 14-16, and from 9 a.m. to 5 p.m. on May 17. Visitors can purchase a one-day ticket to both trade fairs, or a four-day pass, and tickets are cheaper if purchased in advance. For more information about Techtextil 2019 and Texprocess 2019, please visit techtextil.com and texprocess.com.